Barlett's Anthias, Pseudoanthias barlettorum, sometimes stylized as the Bartlett Anthias, is an easy anthias species to care for but can be sensitive to tank changes. 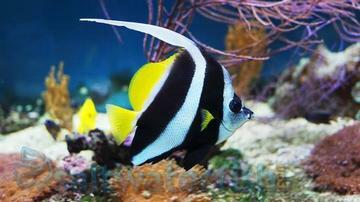 With its beautiful body color combination of purple and yellow, it makes a captivating addition to any tank. 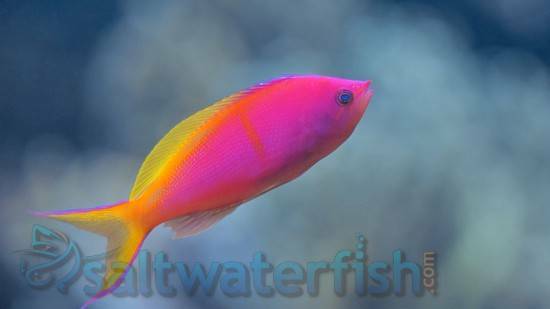 The Bartlett Anthias is also a hardy fish and can be quite sensitive until it has acclimatized properly in the tank. 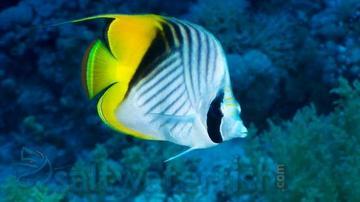 It is very timid and make sure not to house it with aggressive or semi-aggressive species in the tank. Once established in the tank, the Bartlett Anthias becomes much tougher and hardier and then you can introduce the aggressive species such as dwarf angels. 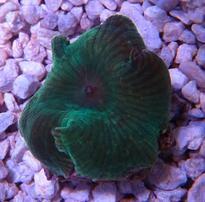 Since it does not bother any ornamental invertebrates, it is very suitable for reef aquariums. The Bartlett Anthias needs to be kept in a larger aquarium despite being smaller, at least not less than 50 gallon and if you wish to keep a group then a large aquarium is required. 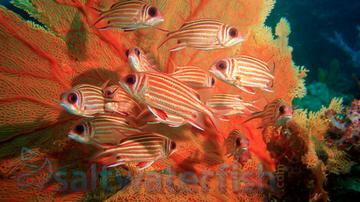 The Bartlett Anthias requires an open space to swim as well as lot of hiding place to simulate the natural habitat. We recommend you to create at least one large overhang in the tank, where it can rest shaded from the light. Make sure that the water in the tank is well-circulated and in a strong moving flow along with high quality and stability. It grows up to 4 inches and makes a great fish tank inhabitant. The Bartlett Anthias thrives well in a temperature range of 72-78 degrees Fahrenheit and pH of 8.1-8.4. The Bartlett Anthias is hermaphrodites and all the fishes are born females, and when needed the dominant female turns into male. It should be fed 4-5 times with a varied diet of frozen vitamin enriched brine shrimp, daphnia, mysid shrimp, frozen food mix for omnivores, and finely chopped sea food.